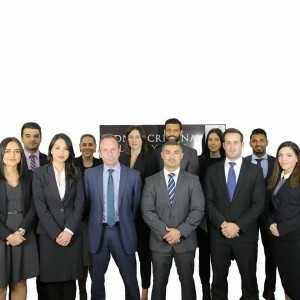 Posted January 15, 2019 by Sydney Criminal Lawyers & filed under Drug Law, NSW Courts. On 20 October 2012, three boxes containing 5,939 grams of methamphetamine arrived in Sydney from the United States. Said to contain clothing, the consignment was received by FedEx International Security and was addressed to a Mr Peter Suca, the operations manager at Esprit Toll in Lidcombe. Two days later at around 2pm, Gianmarco Romolo called FedEx using a mobile phone. He claimed he was Peter Suca and asked about the customs clearance of the consignment. At 10pm, Romolo then set up an email account under the name Peter Suca in a central Sydney internet café. The email account was accessed from an unknown location at around 4am on 23 October, and a number of invoices relating to the consignment were attached to an email. The account was then accessed at a location close to Romolo’s apartment at around 9 am that same morning. Mejid Hamzy rang FedEx at 9.27am that day using the same phone Romolo used on the day before, and mentioned the consignment’s shipping details. The email account was then accessed shortly afterwards at a cafe close to Hamzy’s residence, and the invoices were emailed to FedEx. At 12pm, Hamzy was in the Go Internet Café with an unidentified man. Hamzy emailed FedEx three times and made two phone calls to the company. The unknown man seemed to be directing Hamzy while he was on the computer. Hamzy gave the other man the phone as he left the café. Using that same phone, Mr Romolo accessed a message from FedEx at 5pm that afternoon. As he did, he was heard to remark to someone else that he needed a pen to write the message down. When he spoke to FedEx, Romolo was heard to ask an unidentified man for instructions. On 25 October, FedEx called the same mobile phone and left a message saying that customs had seized the consignment. Mr Romolo was arrested the following day, and a search warrant was executed at his apartment. In August 2016, Romolo stood trial in the NSW District Court charged with one count of being a part of a joint criminal enterprise to import a commercial quantity of border controlled drug, contrary to section 307.1(1) taken in conjunction with section 11.2A(1) of the Criminal Code Act 1995 (Cth). The maximum penalty for the offence is life imprisonment. The Crown’s case was that between 22 and 25 October 2012, Mr Romolo and Mr Hamzy were engaged in a conspiracy to secure the release of the consignment. The case was based on evidence that they used the same mobile phone and email account, as well as claimed to be Peter Suca. A receipt found in Romolo’s apartment during the raid was further evidence the two men were in cahoots, the Crown submitted. The receipt was from the Melt Chocolate Café, which Hamzy owned at the time, and the consignment details were written on the back of it. Mr Romolo’s criminal defence lawyers asserted that their client had never met or communicated with Mr Hamzy. NSW District Court Judge Paul Lakatos provided the jury with written directions, explaining that they had to be satisfied beyond reasonable doubt that Romolo and Hamzy had entered into an agreement to recover the methamphetamines. The jury ultimately returned a guilty verdict, and on 1 December 2016, Mr Romolo was sentenced to 11 years and 6 months imprisonment, with a non-parole period of 7 years and 6 months.  Mr Romolo appealed his conviction to the NSW Court of Criminal Appeal (NSWCCA) on 22 November 2017. He did so on the sole ground that the verdict was unreasonable or could not be supported by the evidence. NSWCCA Justice Robert MacFarlane explained that the ultimate question posed by this “ground of appeal is not whether the jury could have had a reasonable doubt, but whether it should have had such a doubt”. Justice Elizabeth Fullerton outlined that establishing an agreement involves the notion that at least two people have arranged to commit a crime. The agreement doesn’t need to be expressed in words and it can be inferred by the facts surrounding an offence. To establish an agreement has been made, her Honour continued, the Crown needs to prove beyond a reasonable doubt that some form of communication has been made between the two parties and that there’s an understanding between them and they know each other. There’s no requirement that an agreement needs to be reached face-to-face or agreed upon verbally or in writing. And it doesn’t need to have been set up prior to the crime being committed, provided that at the time an offence is being carried out, the parties are knowingly working together. Justice MacFarlane went onto state that the difficulty with the Crown case was that the facts still allow for the possibility that although Mr Romolo and Mr Hamzy were working to achieve the same end, the two men might have only communicated with a third party and not with each other. And while there was evidence that the men were contacting FedEx in a similar way, as well as using the same alias, there was nothing to show that they ever communicated with each other and nor were they within physical proximity of one another at any time. According to Justice MacFarlane, this leaves open the possibility that the men were being coordinated by a drug syndicate in order to conduct their communications with outsiders. And this scenario is backed up by Romolo asking a third party for instructions while he was on the phone. “I do not consider that there was evidence upon which the jury could properly have convicted the applicant,” his Honour made clear. And he further stated that the jury ought to have had a reasonable doubt in considering whether Romolo was actually guilty. The NSWCCA justice said that there was a possibility the two men had not made any agreement between them. And for this reason, the ground of appeal was upheld. Justice MacFarlane explained that Romolo should not stand retrial as the charge would still relate to a joint criminal exercise and therefore, it would not be open to the jury to convict the applicant again, as the evidence would be the same. On 1 February last year, his Honour ordered that the appeal be granted and that Mr Romolo’s conviction be quashed. He then directed that a verdict of acquittal be entered. And Romolo was released from custody at that point. NSWCCA Justices Fullerton and Richard Button agreed with the orders.